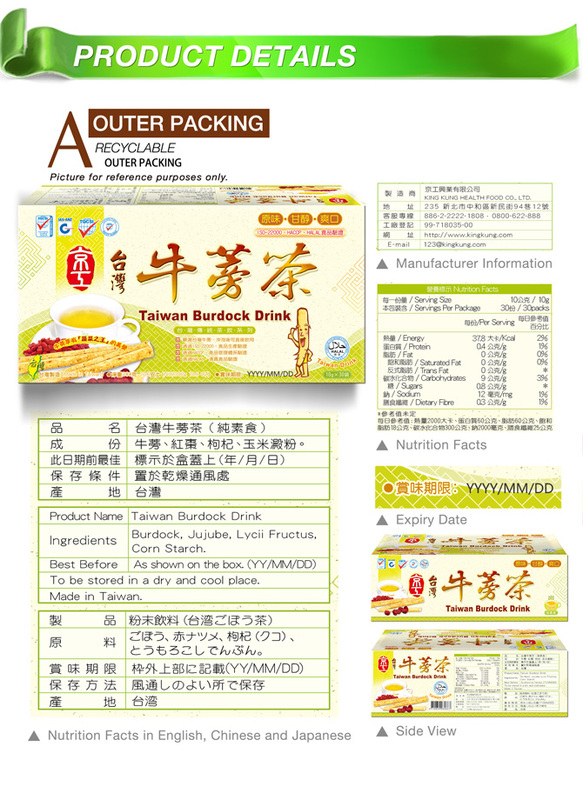 Burdock Tea is original tasting, nourishing, and truly natural. 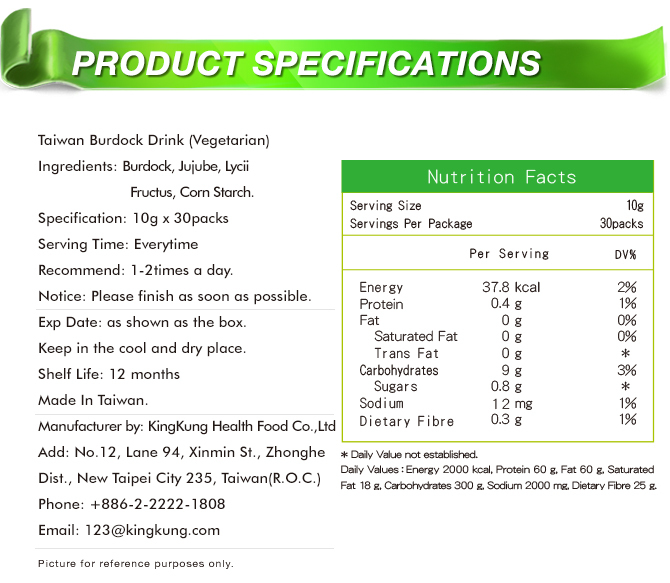 The burdock is rich in protein and calcium, and its nutritional value is many times more than other vegetables, thus it earned the title "King of Vegetables". 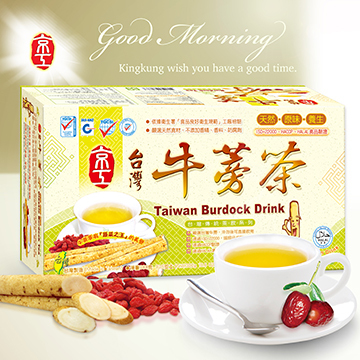 In Japan, this head of rhizomes is a close rival of ginseng, and is also known as "Ginseng from the Oriental Seas". 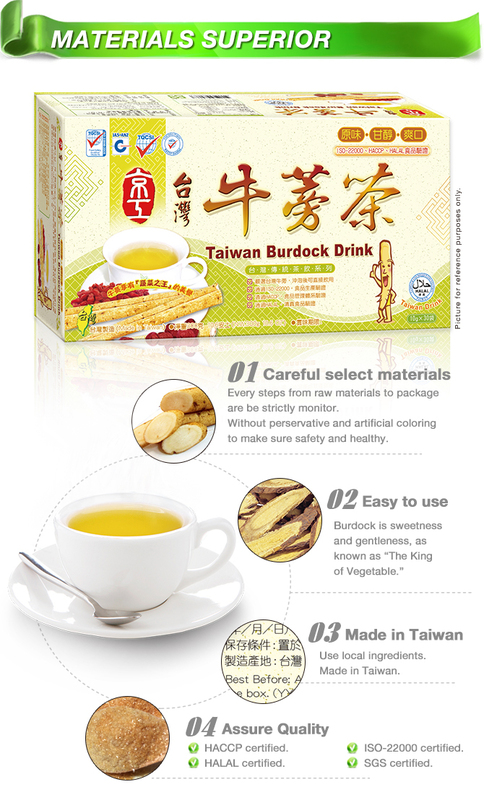 It can be consumed daily without any adverse side effects. 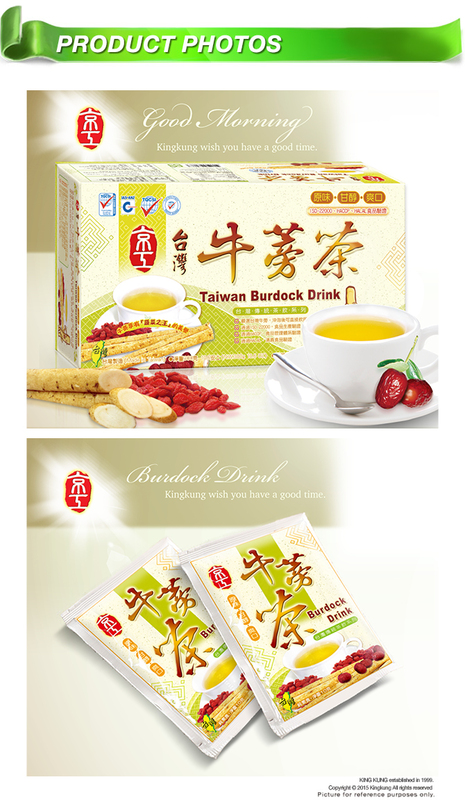 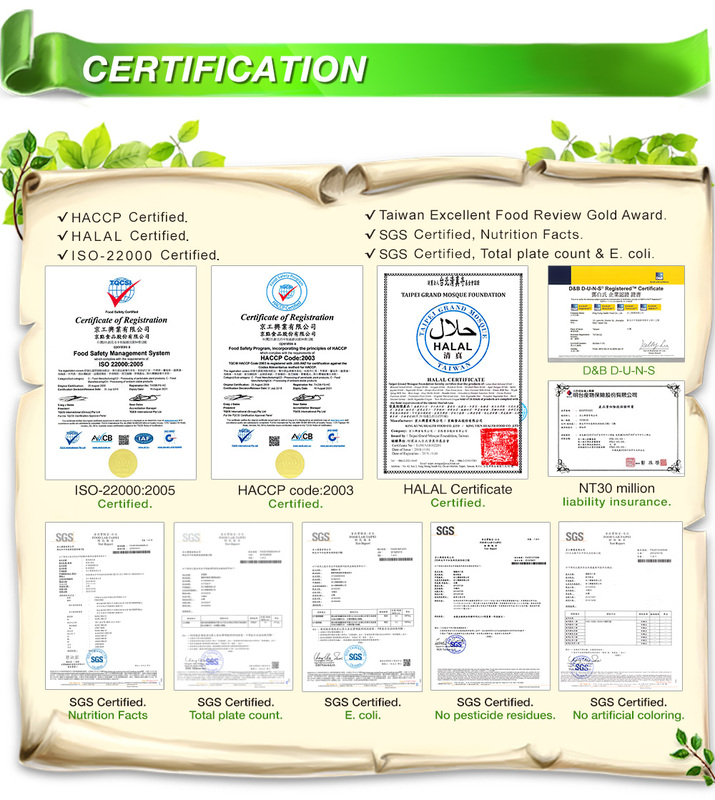 No cholesterol, natural, delicious and healthy. 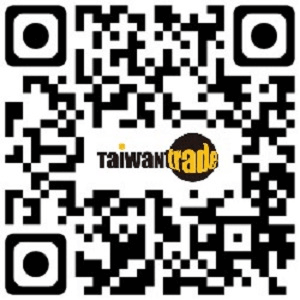 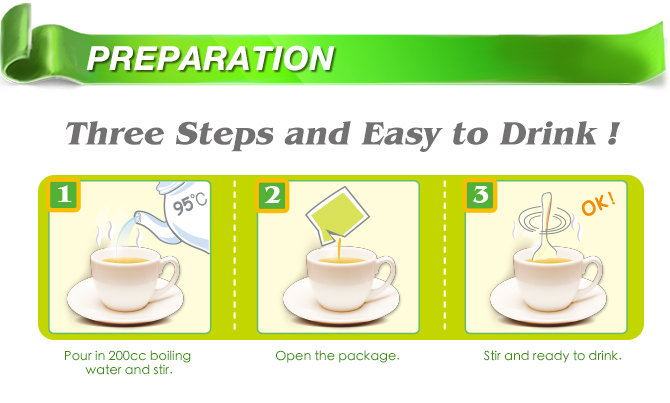 ※Directions: Pour in 200cc of boiling water which could be adjusted according to personal taste. 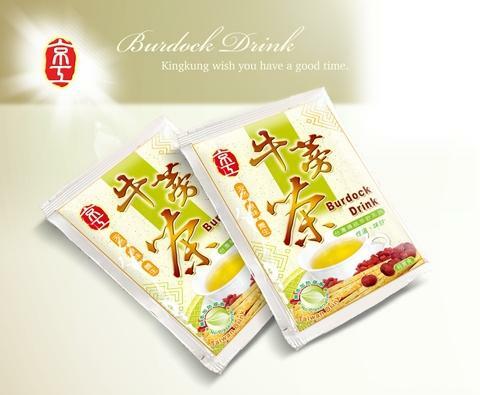 ※Best time to drink: In any time. 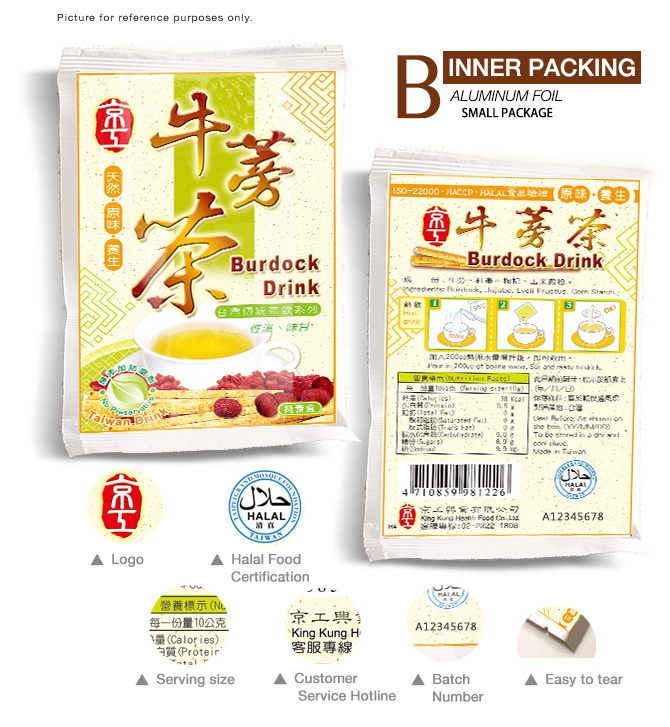 Ingredients Burdock, Jujube, Lycii Fructus, Corn Starch.